Initially, I captured each of these as a different campaign using CiviCampaign. These means we can do things like have a Campaign dropdown on a CiviContribute page, e.g. to donate to the general fund or particular project or to support a particular staff member. This means it's easy to get reports or filter searches based on how each campaign is doing. However, now that we're working to fully integrate CiviCRM with Quickbooks, I'm running into a problem. CiviCRM accounting codes are contained under financial accounts, but don't offer the same functionality as CiviCampaign. For example, is it possible to have a dropdown to pick which fund a donation goes to on a donate page if the funds are captured as Financial Accounts instead of CiviCampaigns? It seems every Financial Account requires a Financial Type? And it doesn't seem to be easy to add Financial Accounts as staff come and go, compared to captured these accounts as campaigns. It also seems awkward: the financial type is really donation for all of these contributions, but the donations just go to various funds/accounts/campaigns. Is there a way to capture this in multiple Financial Accounts without having to have multiple Financial Types? I'm leaning towards the first option, because CiviCampaign seems to be the right tool. But for extensive use of CiviCRM and accounting integration, what is the best way to capture multiple destinations for donations? When should I use CiviCampaign and when should I use Financial Accounts? The system creates a financial account automatically when you create a financial account, so there's not much extra effort. You will want to edit the financial account to put in the QuickBooks chart of account information. The general advice regarding Chart of Accounts (in QuickBooks or similar software - it's actually an accounting best practice) is that you don't want to be removing them regularly. I'd suggest having a parent account for something like Donations - Staff Salaries, and then sub-accounts Donations - Staff Salaries - Joe, etc. While the subaccounts will remain, their amounts will be conveniently summarized in QuickBooks into the parent account. 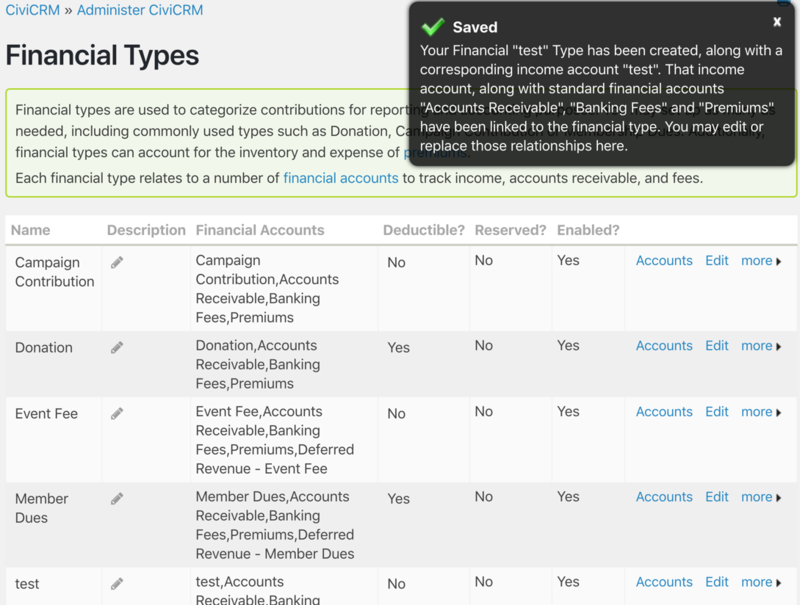 After creating the subaccounts as Financial Types in CiviCRM, edit associated the Financial Account that was automatically created, then make sure to configure the fields as appropriate for QuickBooks. I believe if you export your Chart of Accounts from QuickBooks (for many versions of QB Desktop File > Utilities > Export > Lists of IIF files, select Chart of Accounts) then open it in a low-level text editor like Notepad you will be able to see the data you need to exactly match the account name and 'Account Type Code'. In particular, the subaccount will have a name with a colon in it separating the parent account name and this account's name. You need to enter that exactly correctly (cut and paste!) in order to have things work correctly when you import the .iif from CiviCRM into QB. Remember to backup QB before trying the import...it usually takes several finicky checks to get everything perfect and not creating duplicate accounts. Not the answer you're looking for? Browse other questions tagged civicontribute civicampaign accounting financial-types financial-accounts or ask your own question. What does “Reserved” indicate on Financial Types/Accounts? 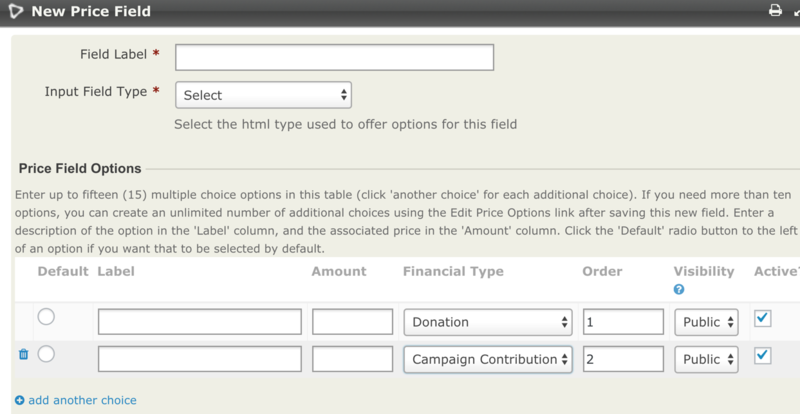 If I've set up a Financial Type of In-Kind Donation, how should I properly set up the required Payment Instrument? Three self-canceling financial transactions for a single recurring contribution?